BRUSSELS – The countries of the European Union need to work together to stop the occurrence of tax evasion, an international problem which is currently costing the EU approximately EUR 1 trillion per year. The Action Plan revolves around three major recommendations to the EU and all EU countries on how to address the persistent problems tax avoidance and tax evasion. The EC recommends that the EU and all EU member states need to take a stronger stance against tax evasion by stepping beyond the currently active anti-evasion measures and implementing a common set of criteria to identify countries which facilitate international tax evasion. 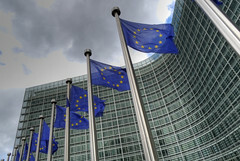 The Plan contained details of legal technicalities and common loopholes which are used by multinational companies to shirk their taxes, and also set out some suggested means to address the legislative shortfalls which allow businesses to excessively minimize their tax obligations in the EU. While explaining the significance of the Action Plan and the importance of addressing tax evasion the Commissioner for Taxation and Customs Union, Audit and Anti-fraud of the EC Algirdas Šemeta said that European countries are currently losing a cumulative EUR 1 trillion per year to tax evasion and tax avoidance, an amount which equivalent to approximately EUR 2000 per person in the EU today.